Dr. William Klein joined the faculty of Denver Seminary in 1978. He is professor of New Testament and served as associate academic dean from 1994 until 2001. He is a member of the Evangelical Theological Society, Society of Biblical Literature, and Institute for Biblical Research. Dr. Klein earned a PhD from the University of Aberdeen in Scotland, an MDiv from Denver Seminary, and a BS from Wheaton College. He served Calvary Baptist Church in California as associate pastor, and has served as an elder in three local churches during his years in Denver. Dr. Klein has written articles for biblical dictionaries and encyclopedias, and has published chapters or essays in several books and Festschrifts. He has published articles in Decision, Small Group Letter, and Moody Magazine. Other articles and reviews have appeared in such journals as New Testament Studies, Journal of the Evangelical Theological Society, Westminster Theological Journal, Themelios, Trinity Journal, Ashland Theological Journal, Religious Studies Review, Scottish Journal of Theology, and Near East Archaeological Society Bulletin. He has written The New Chosen People: A Corporate View of Election and The Book of Ephesians: An Annotated Bibliography. 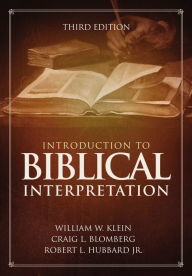 Dr. Klein also edited and was the major contributor to An Introduction to Biblical Interpretation and has consulted on several Bible versions, serving as chief exegetical consultant for the New Testament portion of The Message. He is the author of "Ephesians" in the revised edition of the Expositor's Bible Commentary; Become What You Are: Spiritual Formation According to the Sermon on the Mount; the notes on "Ephesians" and "Romans" in the Apologetics Study Bible; and the Handbook for Personal Bible Study. Pauline theology, NT theology, and hermemeutics. Introduction to Biblical Interpretation, 3rd ed. Co-authored with Craig L. Blomberg and Robert L. Hubbard, Jr. Grand Rapids: Zondervan, 2017. 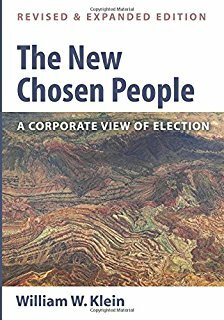 The New Chosen People: A Corporate View of Election, revised and expanded edition. Eugene, OR: Wipf and Stock, 2015. 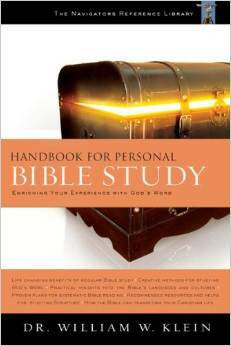 Handbook for Personal Bible Study. Colorado Springs: NavPress, 2008.